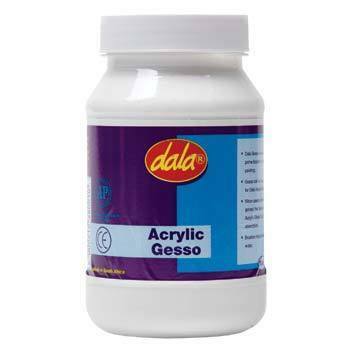 Dala Gesso is 100% pure acrylic gesso with excellent covering power and flexibility, superior to traditional gesso. Dala gesso dries to a matt toothy finish that can be sanded to provide a smooth ground. Fast drying, best quality primer.